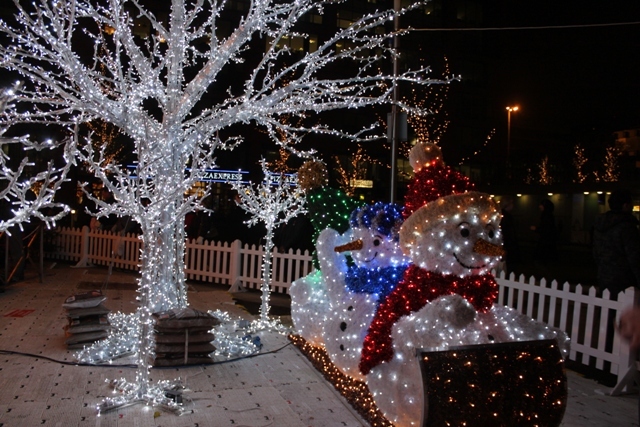 Manchester doesn’t have the 12 days of Christmas – here there are 37. That’s how long the Christmas markets take over the city. Several times in December, we, together with the brave and hearty thousands, brace ourselves and squeeze into the frantic hustle and bustle of the markets. Husband and I in days of old B.S. (before Son) used to always pack our case and head off to the markets in Germany for a weekend spree in December. Fifteen years ago an intrepid bunch of German traders did the opposite, came to Manchester, set up 17 stalls and never looked back. Now they take over the entire city. 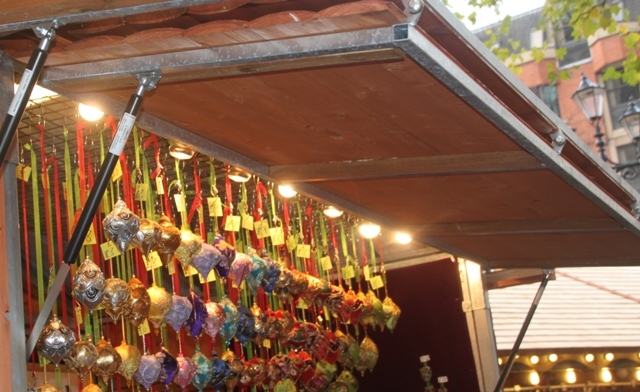 This year there are over 300 wooden chalets with traders from all over Europe and the UK offering Christmassy treats. 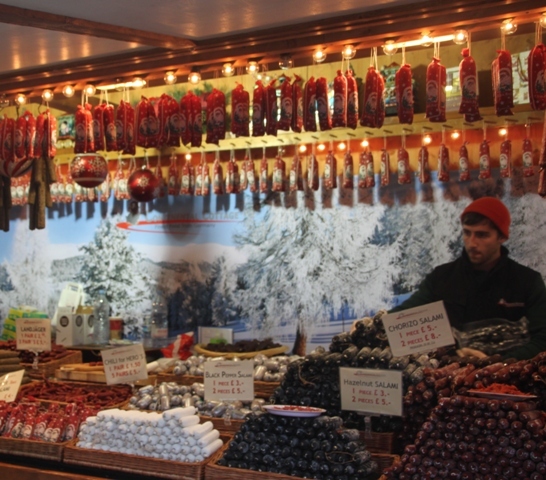 We, together with the vast hoards religiously visit the markets to get our festive cheer – huddled around a steaming Gluhwein helps with this, I find. 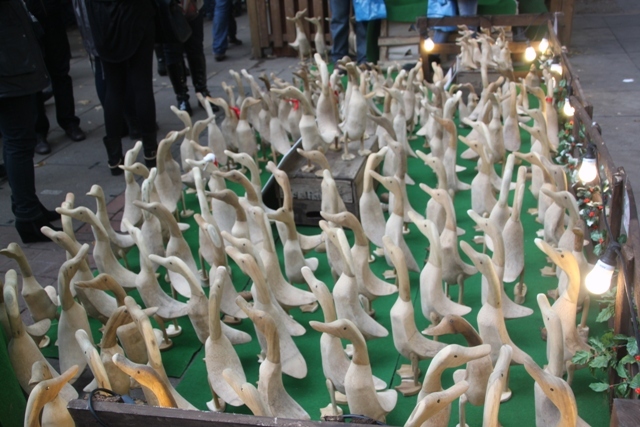 It is true – you couldn’t swing an elf, never mind the proverbial cat and only ever seem to glance at the stalls without getting too close, but it’s Christmas and if the markets don’t get you in the festive spirit nothing will. 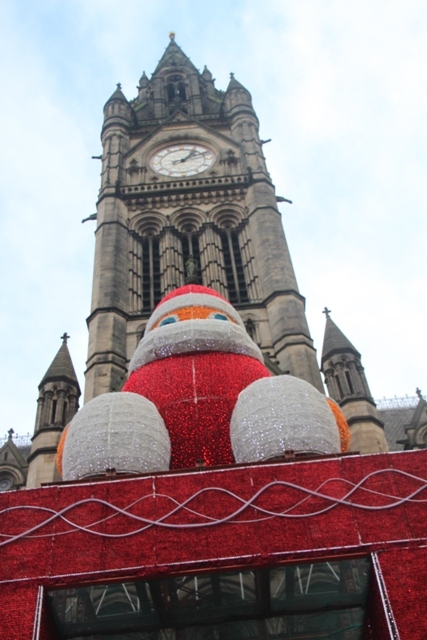 Son always makes a beeline for the Albert Square market – this is the main event in front of the Town Hall. It is not the giant Santa on the roof that lights up at night, or the fairly lights strung around the trees and chalet roofs but the pancakes with lashings of Nutella that are his irresistible draw. 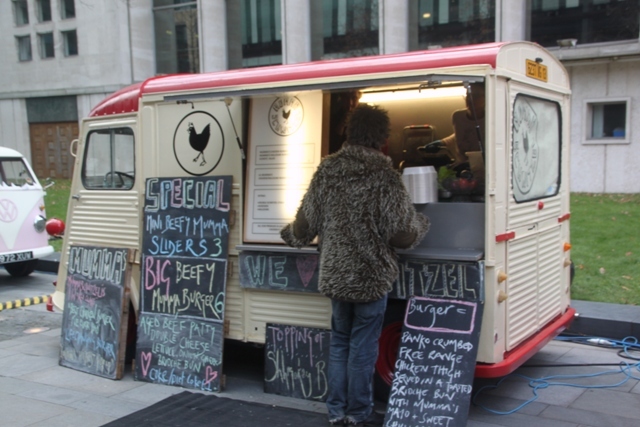 There is some great food and drink to be found here. 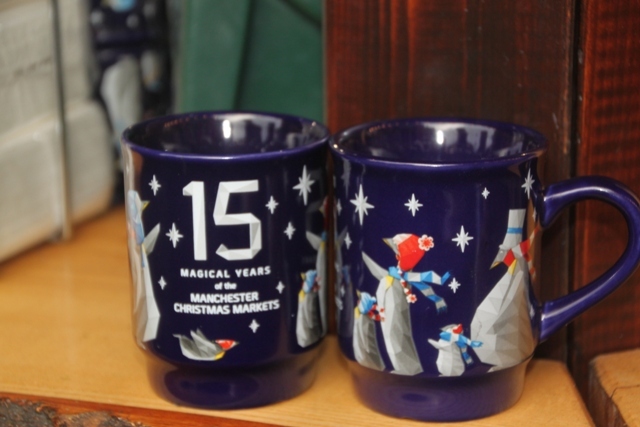 Numerous Gluhwein stalls selling hot, spicy Gluhwein in souvenir Manchester mugs – we did indulge in one or two of those! 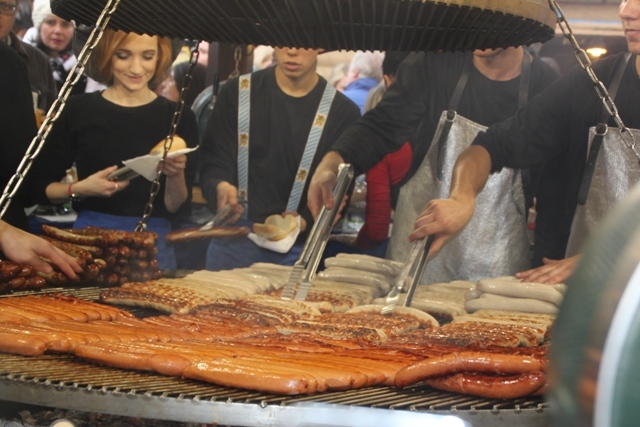 A German sausage, sizzling on one of the huge grills is also a must – be rude not to. 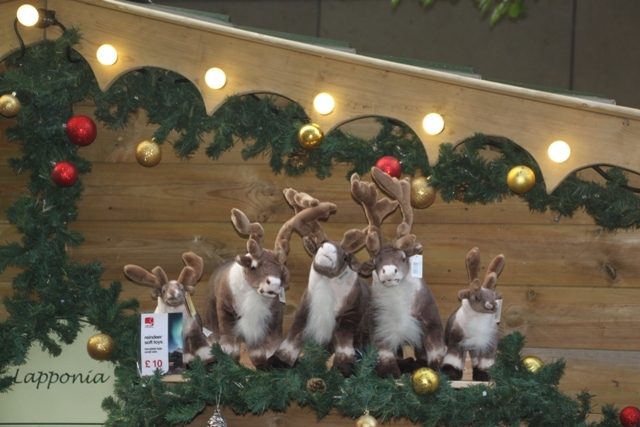 St Anne’s Square has lovely wooden toys and unusual German Christmas decorations, while King Street is French themed with wine, cheese, pate, lavender and other such delights. We like New Cathedral Street for quirky souvenirs but really all you have to do is wander. The chalets are everywhere, all lined together and you just stroll. 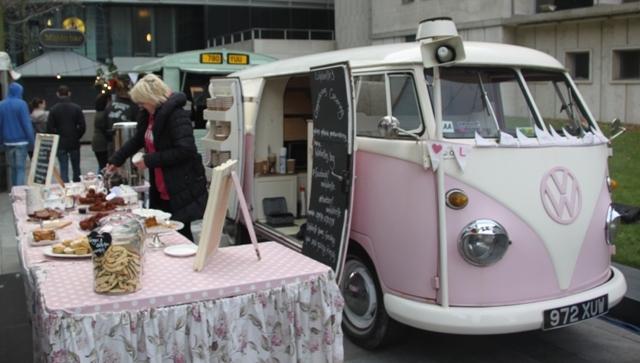 This year we found a great new addition – a group of funky camper vans in Spinningfields selling deliciously different foodie treats and even cocktails. Also along Brazenose Street they had some cute pop up shops – lots of bric a brac, antiques and artwork. It is crowded (understatement) and horrendously busy. Save browsing for a weekday when everyone else is at work – that is much more successful. However there is nothing like a family day out at the markets to make you realise Santa is on his way. How wonderful! I need to come visit! Yes, the markets are a really fun time to explore the city. 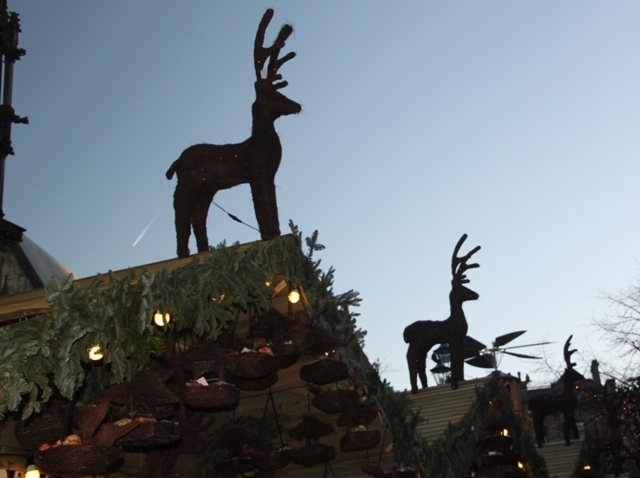 Funny, I was just writing a post on Christmas Markets for a blog I occasionally guest post on. I’ve never been to any in Manchester, but they look much better than the ones in London! 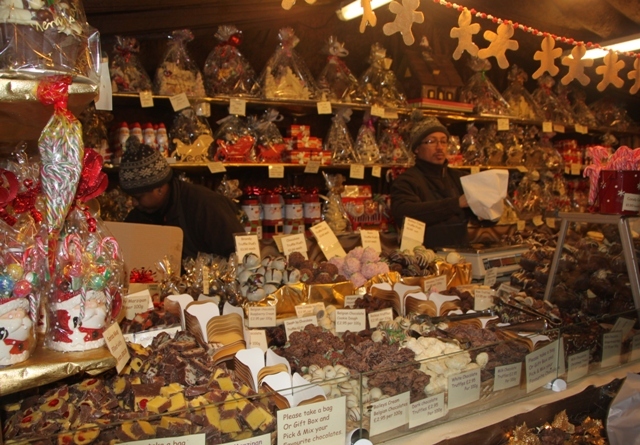 They are great – on a par with “proper” German markets I have been to in Germany – just not cold enough and not enough snow (this year!). wonderful series of shots to take me on a journey! Lovely pictures! I like hot pancakes with nutella in winter. We don’t have Christmas markets in Singapore, only shopping malls and supermarkets sell Christmas cakes and stuff. I shall put visiting Christmas markets in my holiday wish list after reading this. 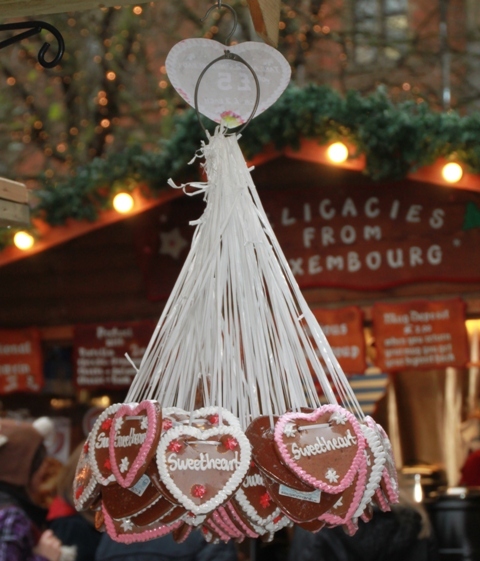 Christmas markets definitely get you in the festive mood – they come highly recommended! Thank you! Hope you have a Merry Christmas too. This looks wonderful! 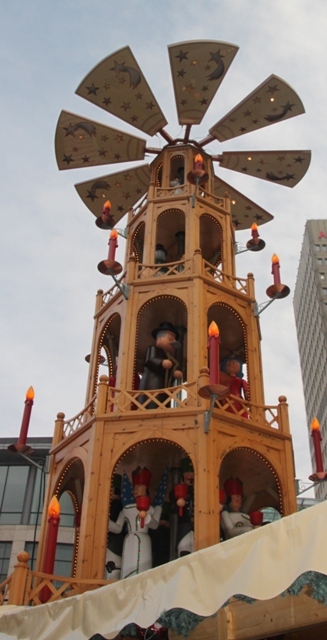 We also have a German market (Christkindlmarket) each year in Chicago, but it is miniature compared to yours! Though still very busy, of course, and with plenty of gluhwein to go around. As long as there is enough Gluhwein to go around doesn’t really matter how big it is! Merry Christmas. Looks great if you can brave the crowds! What’s the windmill one? Looks interesting! Is it actually wind-powered with moving parts? Yes, it moves but uses a water wheel for power – we get a lot of rain here so that would figure! Great holiday photos – Merci, too, for visiting my blog and wishing you and yours Happy Holidays! Thank you – Merry Christmas to you too. Those colourful illustrations complement your narration so effectively. Loved it.